I opened the door this morning to find Clyde standing there with a very grassy, muddy ball in her mouth. My dogs don't have a ball. They destroy balls on sight. Living in an area where dog poisonings by criminals are a daily occurrence, I immediately panic when I see a dog chewing on something I can't identify. My shout of alarm elicited the right response. She put it down gently and retreated a few steps. Which is when I realized what it was. A HEDGEHOG!!! I know that Atelerix frontalis is supposed to live in this part of the country, but in fifteen years here, I've never seen one. I suppose most people haven't, and don't really think about it, but it has long been my dream to come across one. I scooped it up in my bare hands and carried it inside. Maybe not the wisest move, it was a hefty ball of spines. I put it down on a towel, and rolled it over to see whether it was alive, or injured. It was breathing, and there were no puncture marks or blood. So far so good. I placed it under a towel in a plastic crate, with a dish of water, and left it to calm down. After a while it unrolled itself and started sniffing around. Then it emerged from under the towel, tried to climb the sides of the crate, lapped some water, and curled up again in a corner. It seemed to be fine. I invited the dogs to have a nap in the studio, locked them in, and set off with the crate to the composting corner. It's far from the house, with lots of hiding places. I know that hedgehogs eat bugs and snails. To my mind, the composting area should be heaven for hedgehogs. I put the towel down in the grass and waited. After a minute, it uncurled itself and ran off. The area that it disappeared into is wild, with lots of hiding places. The orange plastic mesh over the opening in the wall was originally put up to keep the dogs in, but I havent' checked it in a long time. Now it's back in place. I brought the crate back to the house and put it down outside for cleaning. When I let the dogs out, they inspected the crate from all sides. They're lying on the lawn guarding it now. I've decided to leave it there as a decoy. Great Danes are not known for intelligence. Henning called the hedgehog a Hitchcock, ha ha. In German a hedgehog is an Igel. Speculation: African hedgehogs are supposed to weigh around 350g. This one weighed more than 1kg. A pregnant female maybe? It was very fat. They have babies between October and March, and can have as many as a dozen at a time. Downer facts: It was bigger than I thought hedgehogs were, and the spines were sharp! It pooed all over the crate, and it was stinky. It had fleas. Definitely not suitable as a pet. Nevertheless, I was enchanted with it. Meeting a real live hedgehog was a dream come true. I'm regarding the encounter as an early birthday gift. This sweet hedgie kit popped up in my FB newsfeed this morning. 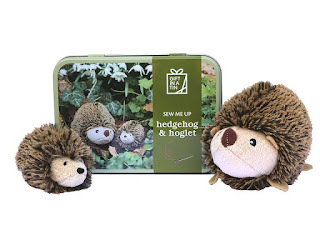 Available at www.gonk.co.za Hedgehogs Everywhere today! You're so lucky, never seen a live one, although when we just moved to our present home in 1991 we were lucky to see a porcupine in the garden uprooting all my veggies, that however was the very last time. What a lovely meeting and story, Megan, I think that you've done the right thing and saved this poor hedgehog from your dogs! Yes, I agree with you: seen her heavy weight, it seems that it was a female and she was with babies! This sort of meetings with creatures form Mother Nature are 'golden' memories!! Years ago on a late and warm summer evening, I was sitting in my backyard and my hand was below the seat of a garden chair when I felt something pricking against my fingers....it was my very first meeting with a hedgehog, who was looking for food, like snails, worms and other insects. I'll always remember me this special meeting :). What a lovely rescue. So glad you gave her water and not milk - Wendy Chamberlain's daughter rescues hedgehogs as well and once wrote that milk and bread are the worst things you can give them as it becomes a poison for them. Much like chocolate for dogs. I also think the kit is great - please send me the link where you can buy it. Oh that poor little thing! Probably the most terrifying experience she's ever known. Imagine three giants corner you, roll you around then bite at you to find your squeak! Then you are carried far away, and just when you've passed out from fright, you awaken to find yourself in a strange and foreign prison guarded by an even bigger giant! I think my bowels would have given up, too! I'm sure she'll tell her babies the amazing story of the day she met three giants, and how one of them saved her life! Though she may not have known it before Megan, you were her dream too! 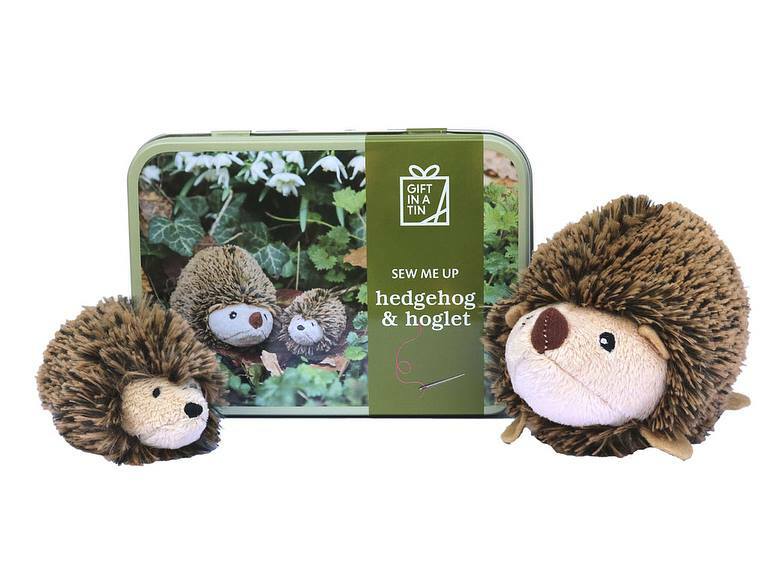 Sadly, here in the UK, hedgehogs are becoming increasingly rare. They used to be our most common small mammal. My daughter lives in the rural wilds of Suffolk and used to regularly have them trundling round her garden. We've sat outside in the evenings and watched them approach her feeding station to scoff mealworms. However she hasn't had any this year at all. They're such lovely little creatures. I'm sure that the encounter with your dogs won't have harmed it at all... they're very resilient, as their spines will attest. This is way too cute Megan! !